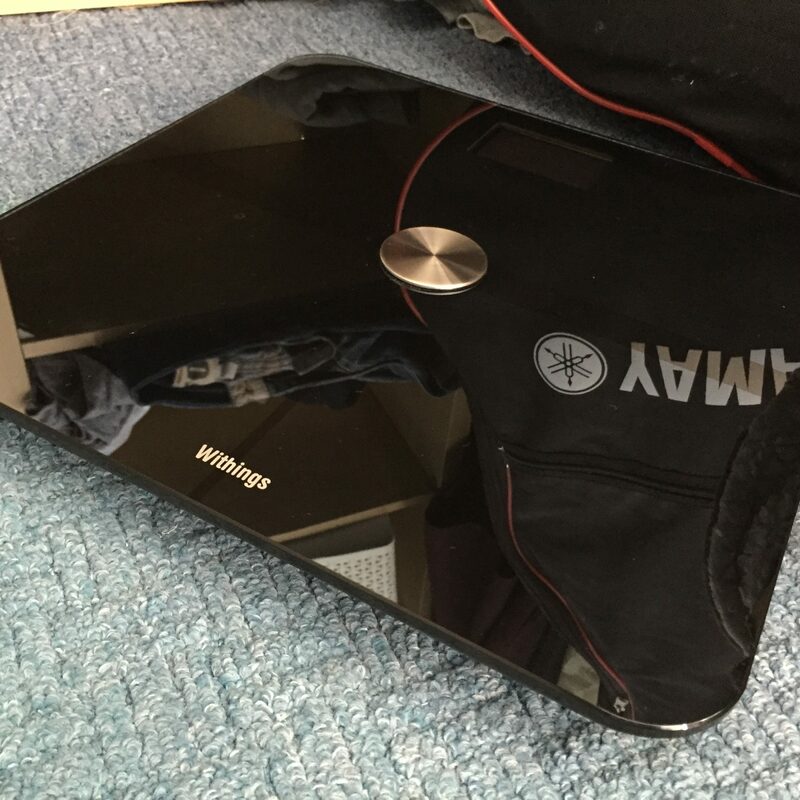 The original Withings Wi-Fi Body Scale was released in 2008 according to Amazon. 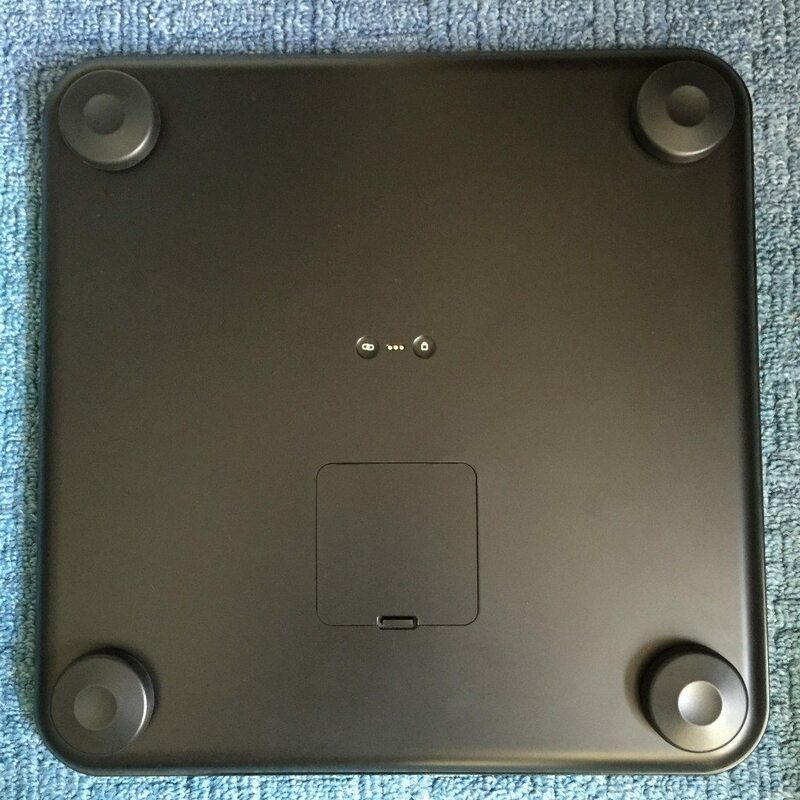 Whether or not this was the first smart scale is up for debate, but it was certainly the first to get any form of significant market penetration. Whether or not that was fortuitous timing, or the fact that it was also available, and on display in brick and mortar Apple stores, one this is for sure. 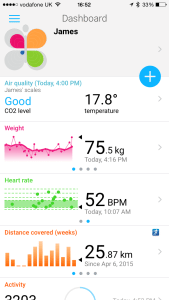 It established Withings on the map as a health technology company. The first scale was able to measure BMI, Lean Mass and Fat mass. 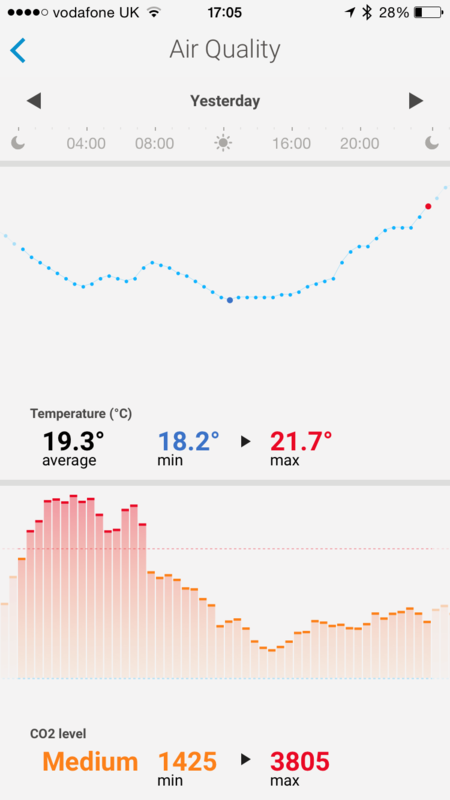 This data was transmitted via WiFi to Withings servers and allowed you to monitor your ups and downs. 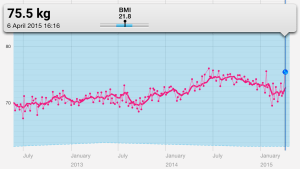 In the not too distant future I’m planning on doing an article on weight and what it actually means. The main upshot is that your MASS in kilograms, stone, Pink elephants, which ever metric you wish to use doesn’t really matter… wait… what matters is your FAT PERCENTAGE. 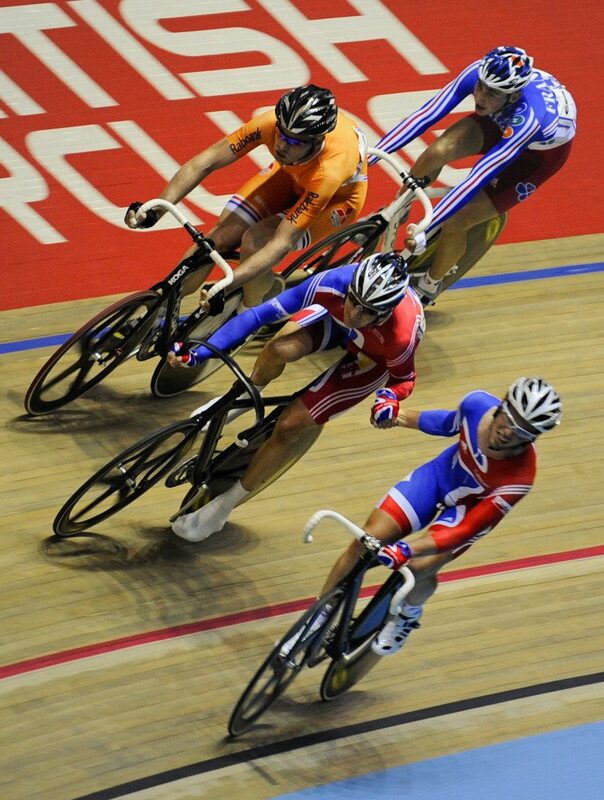 The SIMPLE example, that missing quite a LOT of subtleties is that Bradly Wiggins when he won TWO gold medals at the 2008 Olympics was 84kg. You can’t attribute the weight to the beard then either! At that time, I can’t find the absolute figure, but he had a body fat percentage of 3-4%!! Lets put that into perspective, an elite athlete tends to have fat masses of about 9-10%!! Now I appreciate I am NOT particularly fit currently, I’m returning from injury (that’s my excuse and I’m sticking to it!) but the point is, I weight less than Wiggins did, I’m 73kg currently. I’m actually an inch shorter, 6’2 vs 6’3, so just going purely on MASS, my BMI would be less, my weight is less, and this is why merely knowing your MASS, your weight, is not helpful when you are trying to get fit. There are MANY different metrics of fitness, lactate, vO2 Max, but arguably the simplest, and therefore most error prone, is just body fat. 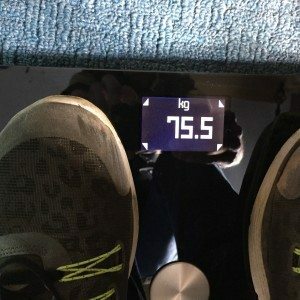 Wiggins body fat is ridiculously low, showing he is carrying NO excess weight. There are issues to do with that as well, but this is just a brief, broad brush stroke comment on MASS, vs BODY FAT. Being able to review and monitor your body fat is really important to your fitness. Lets say you lose 5kg of weight, you might think “result”!! If however it turns out that your fat mass has stayed in roughly the same, its likely you’ve actually been under fueling yourself after exercise and you’ve actually ended up burning glycogen and possibly affecting muscles mass – that “empty leg” feeling can be a sign of under fueling. 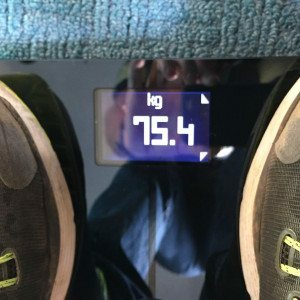 So you’ve lost weight, but possibly damaged your performance ability. So Withings created a scale that allows people to easily measure their fat mass – and then gave them a simple way to collect the data. I personally have data going back to May 2012 where, doing 10km runs there times a week I was a feather weight 70kg, with a fat mass of 9.1%. In 2014, I’m now 72.8kg and 12.3% body fat. Basically I’ve LOST muscles mass and gained fat as well. Thankfully the design of the Scale has not changed at all. 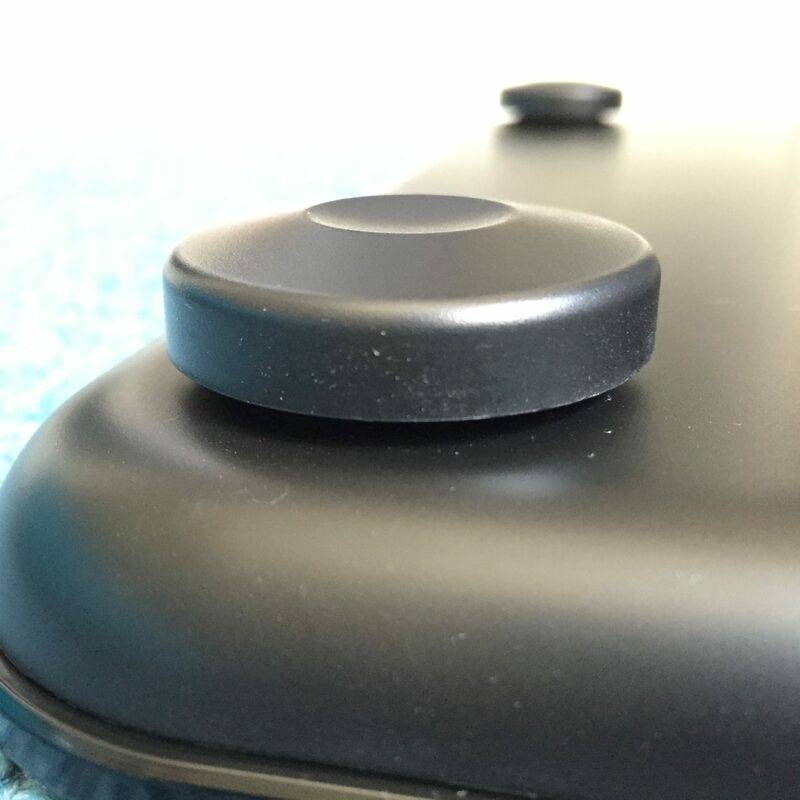 The Smart Body Analyser retains the same clean and understated dark blue glass surface. 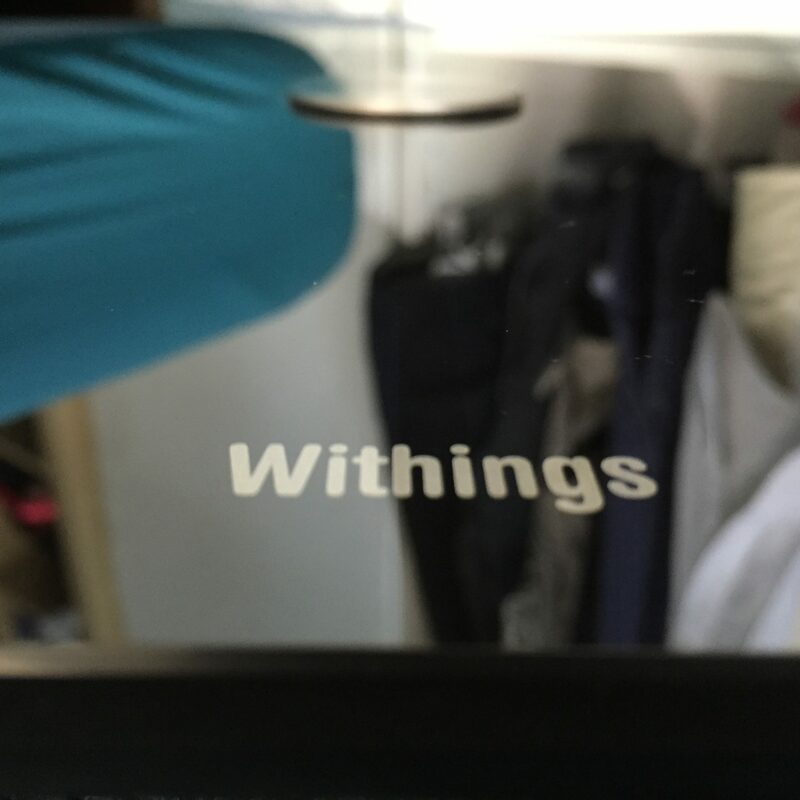 Somehow Withings has managed to style a set of bathroom scales to look cool! That isn’t exactly an easy task! Given how awards tend to be thrown around, I’m honestly surprised Withings didnt win a design award when the Wifi Scale originally launched! However its almost impossible to photograph the scales, it acts like a mirror without a polarising lens! The original scales were effective in what they did. They measured the person. Apart from the addition of WiFi for recording your measurements, this didn’t *really* add anything more than many of the high end bathroom scales available at the time. The new measurement metrics on the Smart Body Analyser add a few extra bells and whistles to set things apart from the pack. In addition the ability to communicate with your photo over bluetooth has also made the setup, and upgrading of firmware a much more straightforward procedure. I’m not 100% certain that pairing the scales is significantly easier given it is now over bluetooth. 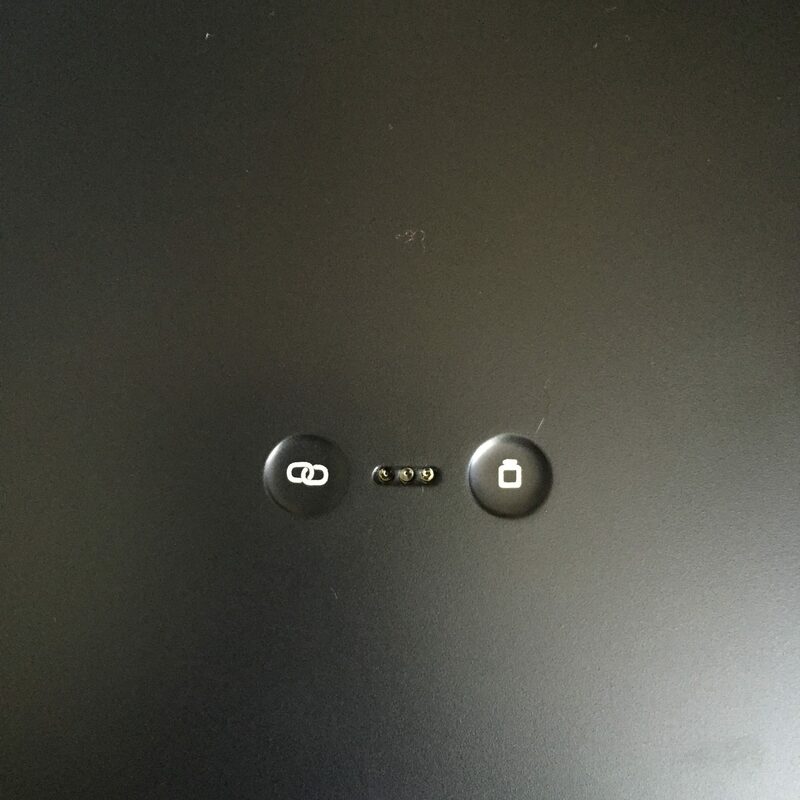 You don’t have get the cable out of the box. It also reduces the number of possible metal contacts to corrode. A large number of these scales will be kept in high atmospheric moisture content bathrooms. Pairing is done through the Health Mate app, which has large, easy to follow instructions. Heady stuff I know. Still it would be churlish to complain that Withings wasn’t continuing to improve their end product even after its release. Why when detailing with such a specific, and lets be honest expensive product would I suggest that accuracy doesn’t really matter?? In a scale such as this, fat mass is measured by passing and electric current, albeit small, through the bare soles of the feet of the user, and measuring the resistance between one foot and the other. This resistance is used to calculate the fat mass. The issue with this is you bio-electrical-resistance can vary considerably across the day, largely dependent on your fluid intake, and the time of the recording. At night, as you lie in bed, the water composition of your fat cells moves, due to gravity. So assuming you spend the entire night lying on your back, there will be a slightly greater percentage of water in the subcutaneous tissue of your back, than on your abdomen. For this reason Withings advise measuring your fat mass after having been up for about 30mins, as this allows the water to redistribute. Ultimately, again this doesn’t matter too much, as long as your measurements are consistent. Variability determining how consistent your readings are. The point here is, lets assume a car speedometer is mis-calibrated by 10MPH too fast. This is quite inaccurate, and you’ll likely get a ticket. However if you know its always going to be 10mph out, then when you are doing 40mph, you can be confident that if you drive at 40mph, you WONT get ticketed in a 30mph zone. This logic can be applied to scales in the same way. Its highly likely that the measurement of weight, pure mass from a set of scales will be accurate. However as fat mass is a difficult calculate accurately using electrical resistance, as long as we are happy there is little variability between results – you weigh yourself 10 times, and it reads the same 10 times. It doesn’t actually matter what you fat mass is from a training perspective. What matters is the change over time. So I’m happy to accept the Smart Body Analyzer WS-50 says I’m 12.3% fat. Regardless if I’m actually 10% of 13%, I still want to improve. As long as I see a downward trend over time with my fat mass, and a stability or increase (remembering muscles weighs more than fat) in my overall weight, I’m happy that I’m going the right way and my training is paying off. Withings Smart Body Analyser Scale measurement reliability – weight. Withings quotes several reasons on their site why they are able to call the Smart Body Analyzer WS-50, high accuracy scales. Weight shifted until all four arrows flash, now I feel properly centred. Very Zen! This sounds very cool and I have no way of accurately testing this! You log your location with the scales, as as the world is not actually a sphere, its a spheroid, it compensates for all of those hills, valleys and bumpy bits. I thought this was a set of scales, not a 4×4?! In order to give an accurate measurement, the scales need to be on a flat surface. 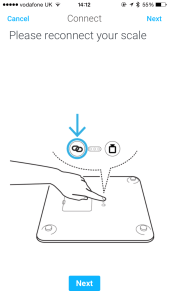 Withings also states that for a truly accurate reading, the bottom should be off the floor. So “the feet are rather taller than those of their competitors”. A great technological advance there. 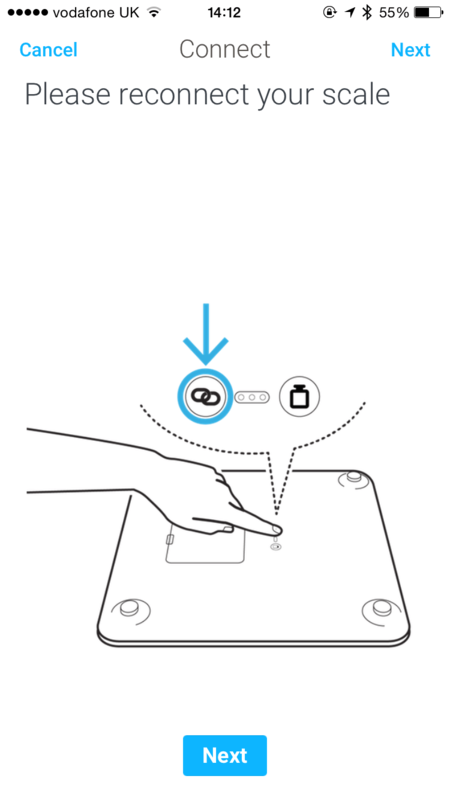 Withings also provides plastic pads to put on the feet, to allow you to use the scales on carpet, to stop the feet sinking in. Preventing a risk of the bottom on the scales touching the floor. 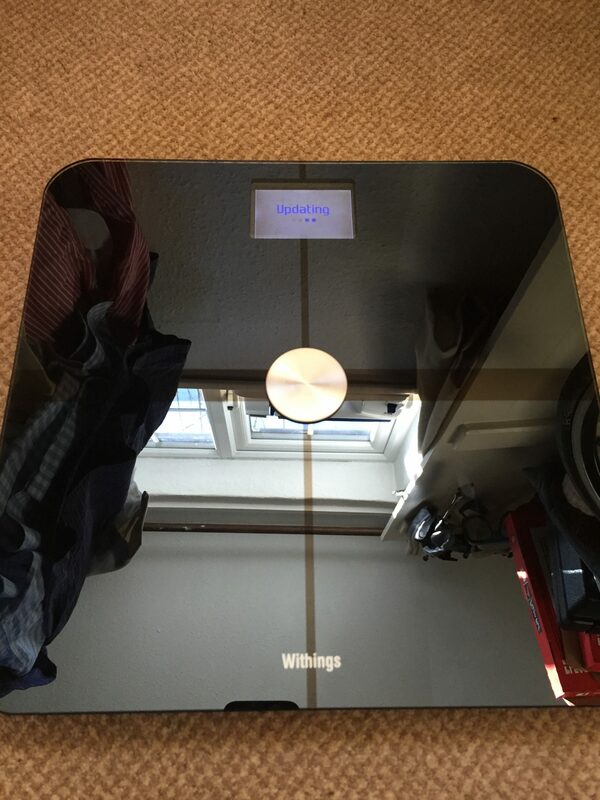 In independent testing, the comparing the shop bought Withings Scales with calibrated medical scales, the largest variation seen with the Withings Smart Body Analyser WS-50 was 250grams, which for training weighing is nothing – the point being a can of Coke is 330grams. This gives an accuracy of +/- 0.4%. We use equipment in the hospital for measuring blood pressure etc that has an accuracy of +/- 1%, so for home use, +/- 0.4% accuracy could almost be considered overkill. Withings Smart Body Analyser Scale WS-50 reliability – Fat mass. Now this was slightly less accurate. Simply getting on and off the scales multiple times, gives a variation of 5% in the fat masses recorded. Initially you might think that this is very accurate. We are not taking about a reading of 10% fat one moment, and a 14.5% reading the next. That is a variation of 68%. We are talking one reading of 10% and the next reading of 10.5%. Which given the difficulty of home measurements of fat mass, and the point of interest is actually the long term trend, again should not cause any great problems. Initially Withings had a simple app, that collected the information from your scales. This has been discontinued and replaced by Withings Health Mate. Which covers weight, activity tracking, heart data, and air quality data. 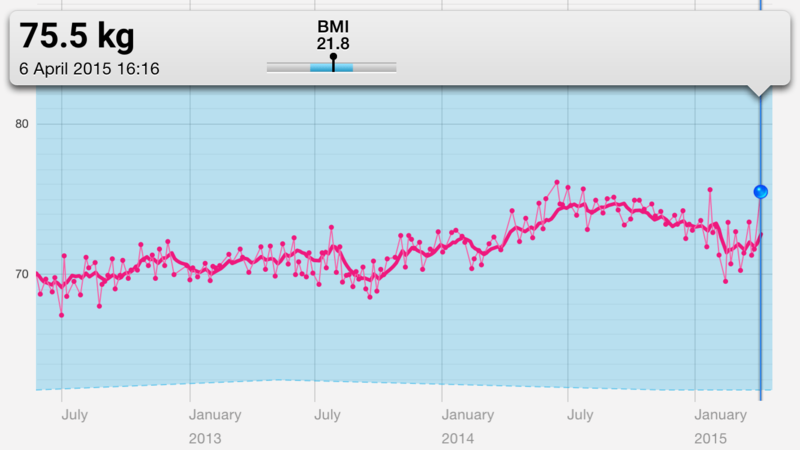 One of the largest changes for the app, is the inability to display fat mass and weight on the same graph. Something that the original app did. Not a deal killer by a long stretch, but a shame to remove something so simple, and, well useful. You can secure the app on IOS with TouchID if you don’t want other people looking at your readings, which is a nice touch you you don’t want to share. You can track up to 8 people on the one scales, but administering this becomes slightly problematic if other people want to keep their reading private. But I suppose that is more of a social, rather than a Withings issue!! Given that the main purpose of the scale is to weigh the data for that is very nice and clear. 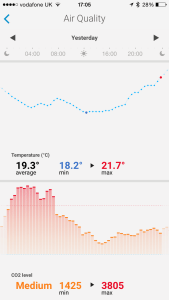 With the added bonus that you can auto export data to TrainingPeaks, Apple’s Health App, MyFitness Pal, RunKeeper, Nike, Nest and BodyMedia to name a few. This is one feature i was honestly very skeptical about. 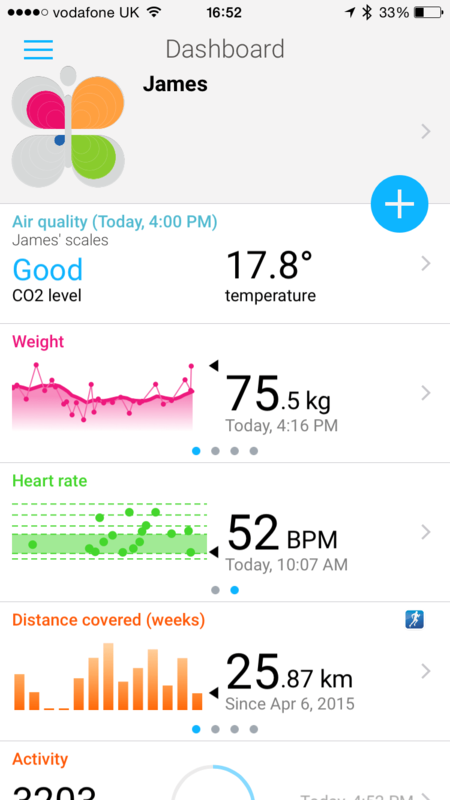 Withings states that changes in CO2, which is also used as a surrogate marker for other particles in the atmosphere around the scales, can affect sleep, “general well being” and allergies. As facts affecting CO2 can be other external, and internal to the house, I was broadly under the impression there was little I could do to affect the results. As i saw no clear factors, including heating use, that seemed to correlate with the changes shown on the CO2 graphs. 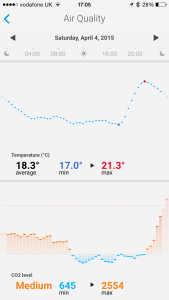 My Withings Smart Body Analyser Scale are placed in the bedroom, so its interesting to see the CO2 build up as we sleep, and then improve during the day – suggesting a possible need for increased intervention. 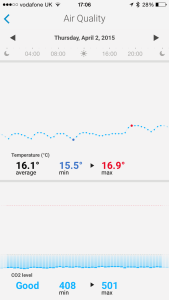 However as can be see with the temperature graphs about the CO2, even if the heating is stable. 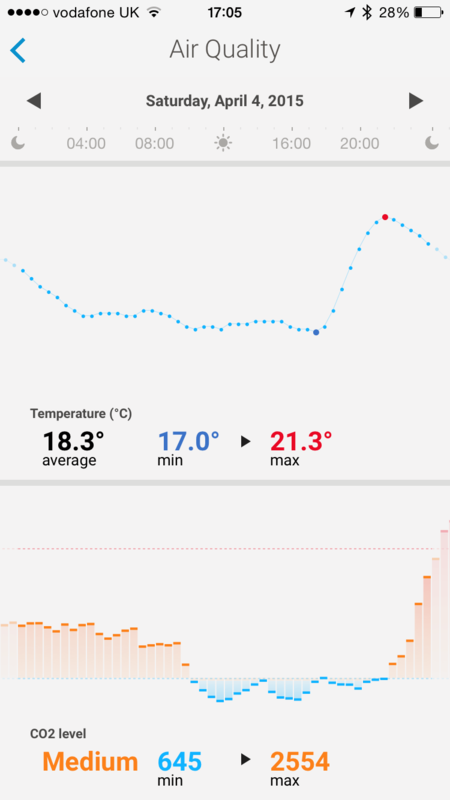 The graph varies wildly. Frankly I was beginning to think that it was a little bit of gimmick. Until we went away on holiday. 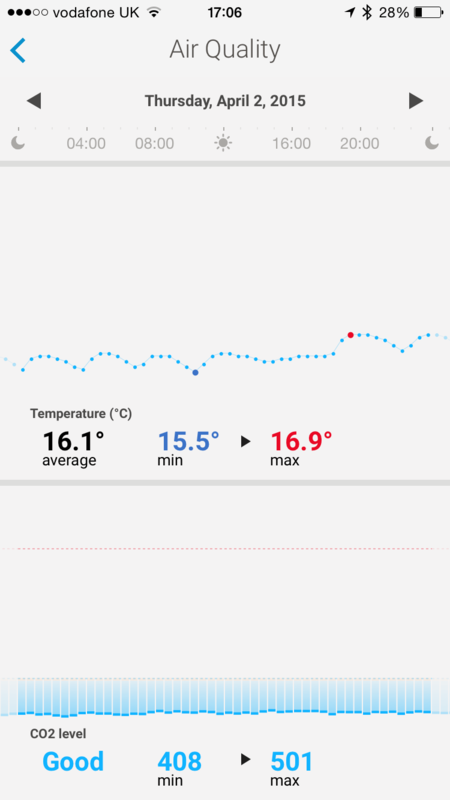 So whilst we were away, the heating was set to minimum, but the CO2 levels remained constant throughout the trip when we were away. Unsurprisingly there is no CO2 variation whilst on holiday! Clearly there is a usable feature with the CO2 recordings. But as for translating to a benefit with health. So far I have not seen a benefit. When summer comes, and the windows are open at night, it will be interesting to see how things change then. Similarly, it would be interesting to compare the CO2 data with associated sleep data. Certainly it will interesting to keep monitoring things over the rest of the year. Personally the Withings Smart Body Analyser Scale is an expensive investment just as a way of checking your weight. However the benefits it can have for training, in terms of monitoring changes in fat mass, and crucially informing you about post work out nutritional and hydration needs can be very effective. The accuracy of the mass weighing is without doubt. Plus the variability of the fat mass data is shown to be more than sufficient for home based training needs. All of this can be accomplished with other cheaper systems, but there is an elegance and an ease to the accessing of with Withings data. Most importantly, Withings has managed to pull off a nearly Dyson-esq level of design. Turning a frankly uninteresting utility into a sleek piece of technological art. I’m more than happy with mine, and certainly will continue to keep monitoring things! Never know, I might finally get back below 10% body fat one day!